I've been drinking the Original Sin Brett Saison for awhile now, and I'm sad to admit I drank its last bottle last night. This beer has been fantastic, and it's been one of those beer I've stashed away for aging etc. in an effort to make the bottles last. It came along leap and bound and as you can see, the clarity is near on perfect. Just a short few notes on where this sits now, compared to where it was in my first tasting. Appearance: Crystal clear with nice cascading carbonated bubbles. keeps its head nicely. not over-carbed either. Aroma: Funk, and plenty of it, this has become much more of a Brettanomyces type beer. Very nice indeed. Flavour: Some light pilsner malt, with the body coming from the rye and the cara-pils. plenty of funk again, lemon/lime earth and hay. Mouthfeel: Dry finish, with a medium thin body, which is expected. but much fuller than you'd expect from a beer like this. Overall: Perfect summer beer, and with 30 degree heat yesterday, it was a great beer to have outside to relax. It will be re-brewed this year to coincide with the NHC2015 competition, some very minor tweaking required, but its very small minor changes, as I like it as it is. It does lack a touch of complexity, but who needs that right? 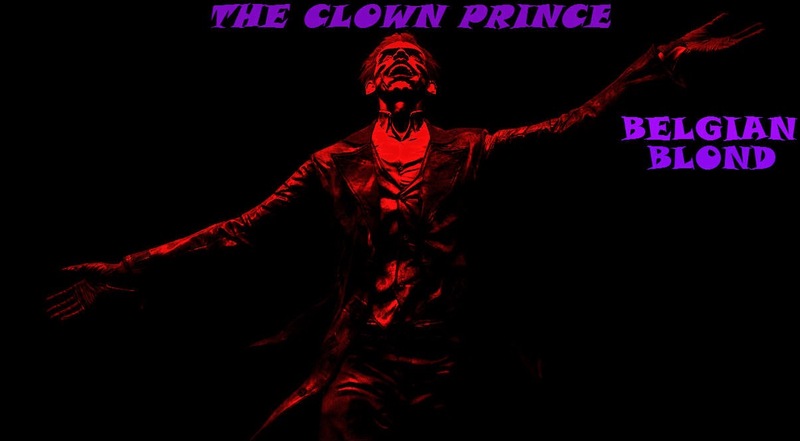 the Clown Prince Belgian Blond Ale. 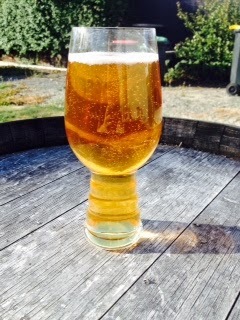 I brewed this especially for the SMaSH comp we had locally here in Christchurch, and I'm humbled to say, it won Brewers choice. not only that, but it also won the judges choice award. It's safe to say I'm pretty happy with the outcome, and I couldn't believe it got this far, with some great entries from some of the other guys (Personal favourite was the German Lager brewed with Pacific Gem Hops Bock Lager Yeast and 100% Munich Malt) so definitely some stiff competition. So onto the notes of the beer. Appearance: this went into the keg very cloudy/milky, which did not look promising at all, so I fined with gelatin, as per my previous posts, and it pours a just so slightly hazy golden colour, with a nice bright white head. Aroma: Banana-Bread, very much yeast dominant. sweet and malt backing. probably the Candi sugar and pilsner malt. Flavour: More banana bread, clove, spices anda sweet toffee flavour from the sugar again. pils back it up nicely. Mouthfeel: Medium body, no issues here, head retention is good. arb could probably be better. Overall: Lovely beer, I'll be bottling a couple up to enter into the GKBF homebrew comp, where I think it'll do quite well. Next iteration of this (yes it will be re-done) will have more than just pilsner malt, I'll probably just add a half kilo of munich if I changed anything, not bothered about changing the hops around, for the yeast I like it, but whenever this is brewed I'll essentially just use the belgian yeast available at the time. Hops - Pacifica: 60min - 25g / 30min - 14g / 5min - 21g. Mash Temp: 65 deg C for 90 Minutes / Boiled for 90 Minutes. Just a short note on the next beer to brew, I have once again changed my mind, with an eye on the GKBF home-brew comp and a Christchurch Case swap, I will be brewing a big stout, and bottle conditioning. An American Rye Stout to be precise. I'll be using Centennial and Nelson Sauvin as a flameout addition, with a big charge of hops at bittering. This is a beer I've been looking to brew for awhile, ever since I read this recipe Here. This merely serves as inspiration, rather than a copy. Bottled: Chch Homebrew Club Barleywine / Braggot Ale.